Get this Excalibur 9-Tray Electric Food Dehydrator for just $192 shipped (Retail $295). 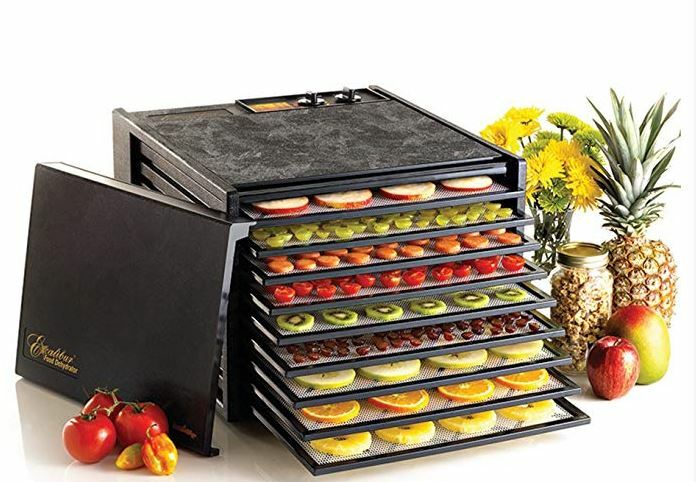 This 9-tray electric food dehydrator has 15 square feet of drying space. Its temperature range is low enough to preserve active enzymes in fruits and vegetables and also high enough to meet safety standards for dehydrating meat for jerky. Use it to dehydrate fruits, vegetables, nuts, meat, fruit puree, raise bread or make homemade yogurt.